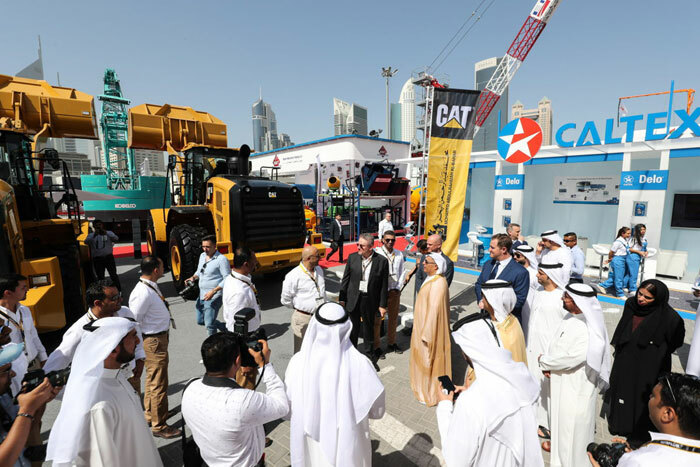 The Big 5 Heavy, Middle East’s leading exhibition dedicated to the infrastructure and heavy construction industry, will run alongside The Big 5 2018, organisers dmg events announce. The move establishes an international mega event in Dubai, catering to the needs of the entire construction community. Running from 26 to 29 November 2018 at the Dubai World Trade Centre, the two exhibitions will be co-located with Middle East Concrete (MEC), The Big 5 Solar, HVACR Expo, and the Urban Design & Landscaping Expo, part of The Big 5. “The success of The Big 5 Heavy this year shows a growing demand for PMV, commercial vehicles, foundations & geotechnical, quarrying & mining, road construction, and site equipment in the region. The Big 5 Heavy follows the recently announced return of the popular Middle East Concrete (MEC) event at The Big 5. Dedicated entirely to the concrete industry, MEC will host over 100 concrete exhibitors and four days of world-class education led by The American Concrete Institute, PCI and Precast For All. This will make the show the only place in the region where over 65,000+ industry professionals can source everything they need in the global hub of the GCC. “We believe that combining The Big 5 and The Big 5 Heavy is the right choice at this point in time.